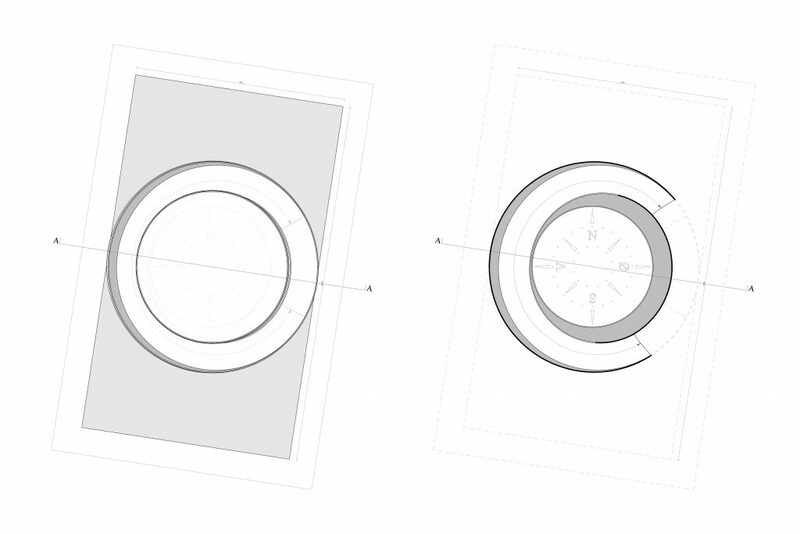 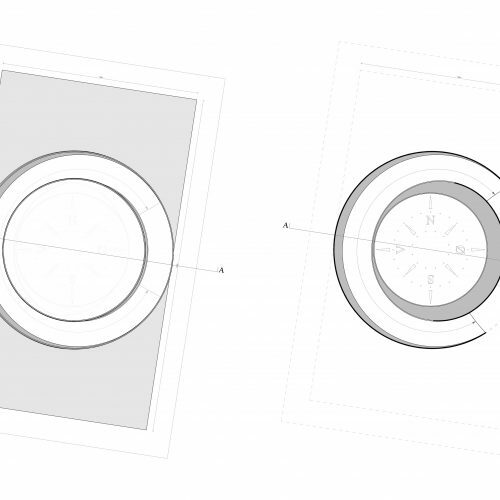 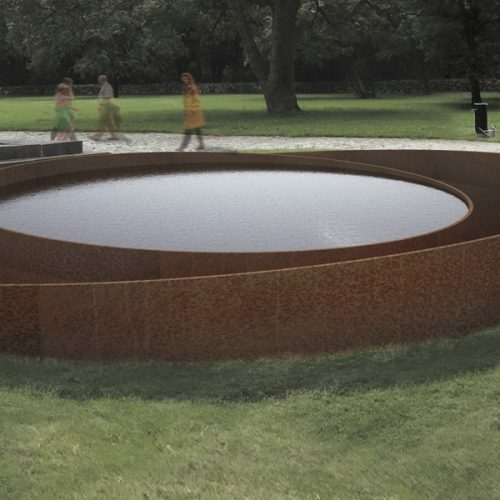 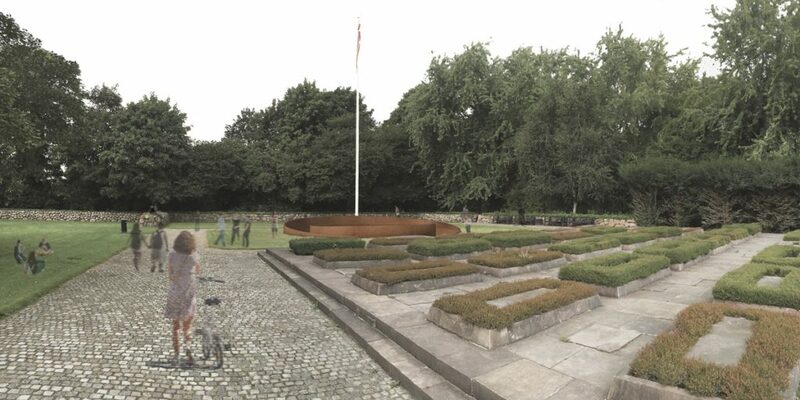 The project is based on the idea of a memorial as being spatial. 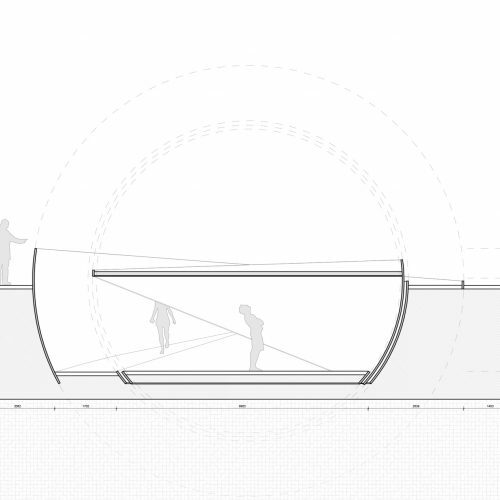 The spatial sculpture requires the visitor to inter­act with it and to be seduced in body and soul. 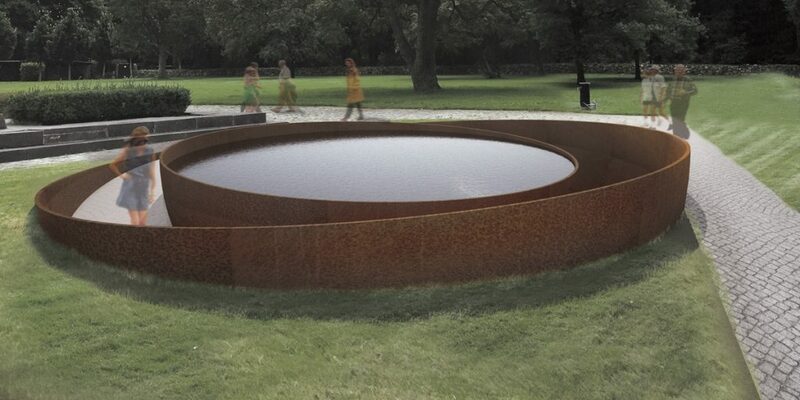 The memory as something the visitors immers and lose themselves in. 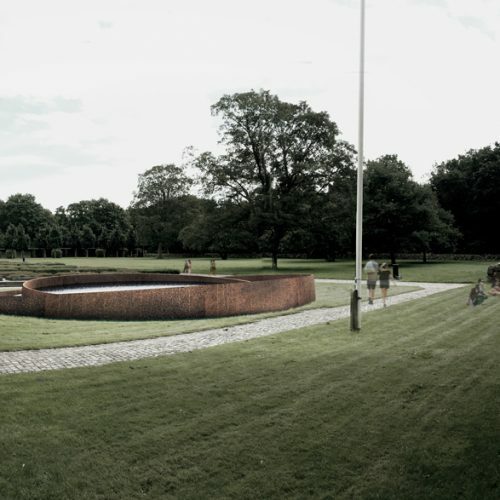 The architecture as a tool for contemplation of body and mind to a calm state where thoughts can wander freely and reflection on the present and future via the past and ancestral sacrifices. 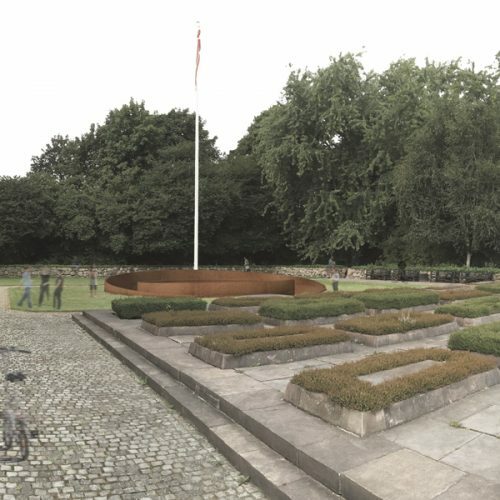 As a new addition to the memorial site it is the desire to build on the idea of the protected landscape where the outside world has receded into the background and at the insistence of the architecture and landscape acts as a framework for this condition. 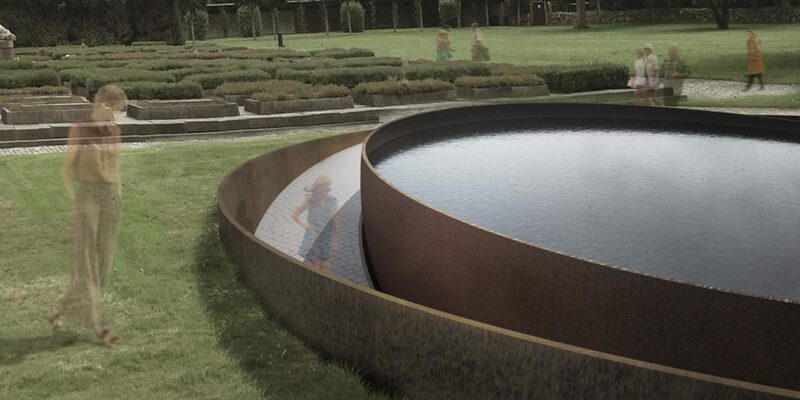 The project is intended as a subtle addition to Mindelunden through its geometric shape as a circle whereby it relates itself to the rectangu­lar geometric shapes of the graves. 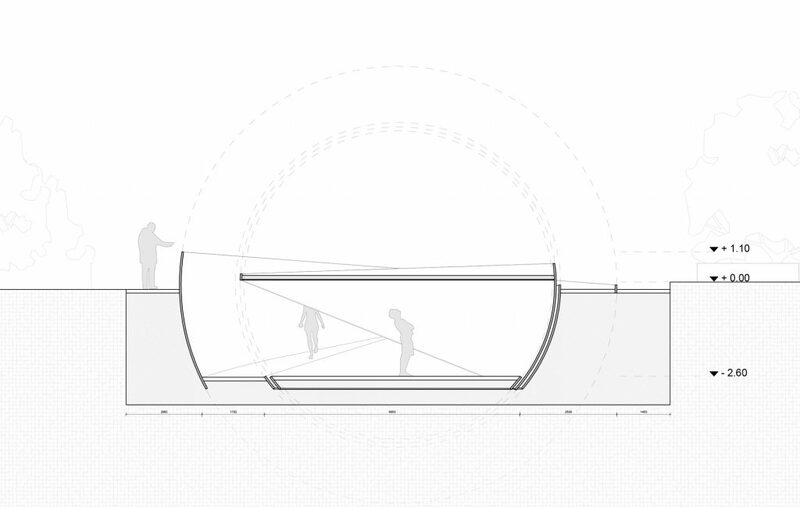 Through its location it becomes a link to the existing path system and through its height respects the perspective of the landscape. 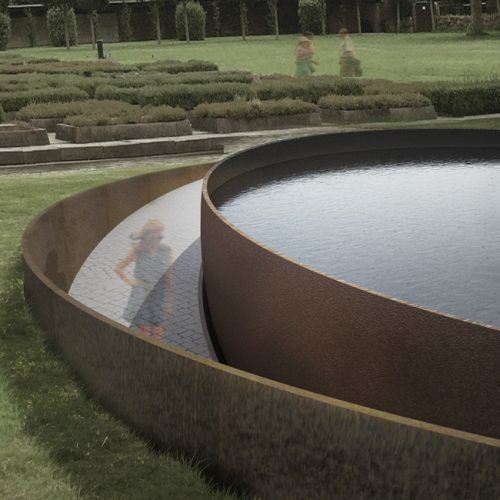 In its materiality it respects the materials of the site and through the addition of a water surface it provides the memorial site with a new element and attributes thus to the spatial quality of the place.